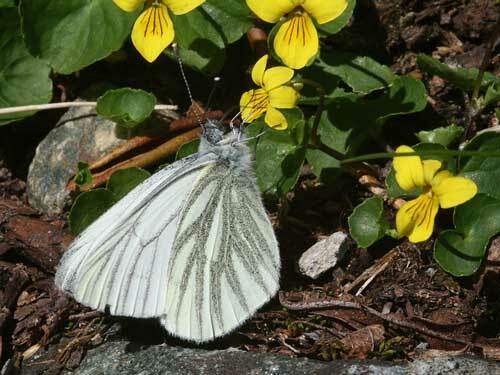 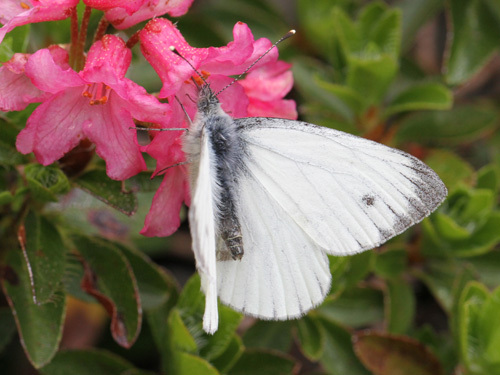 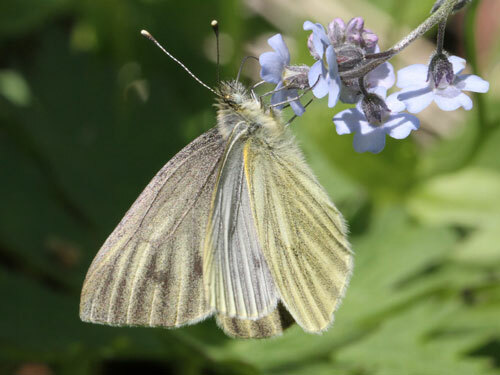 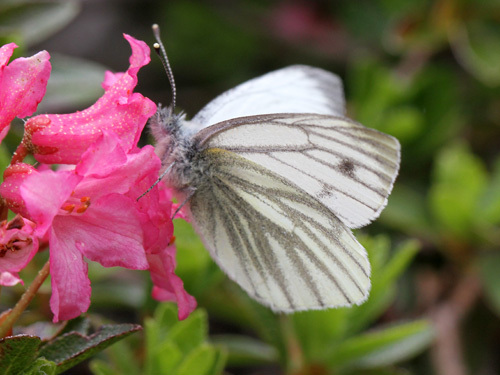 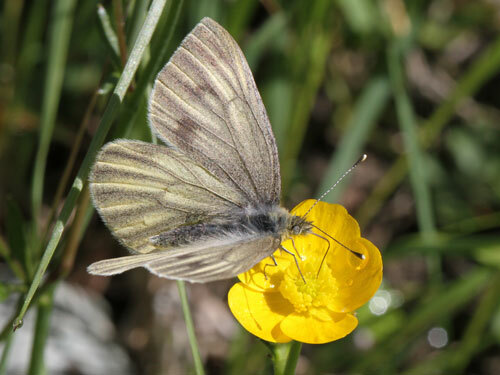 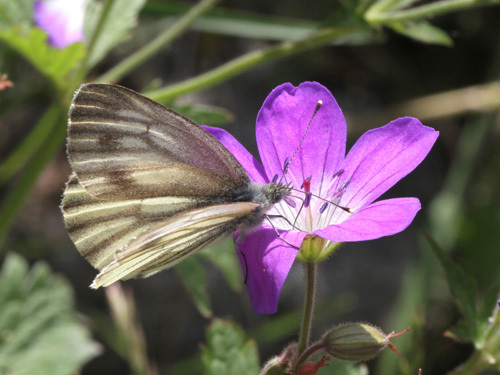 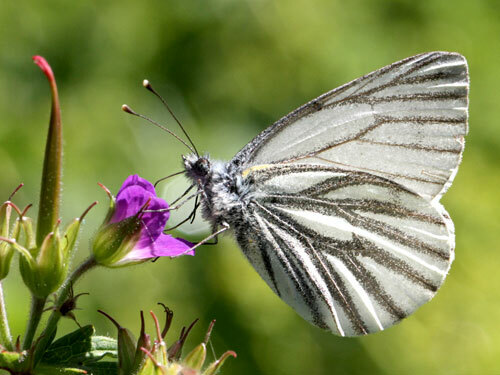 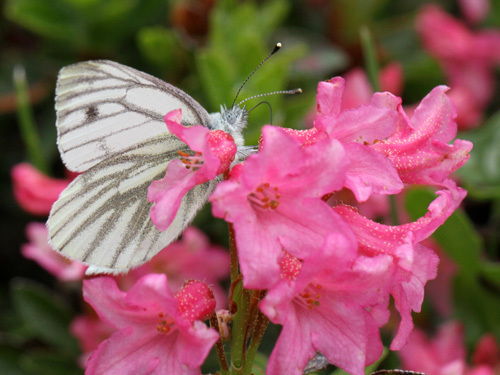 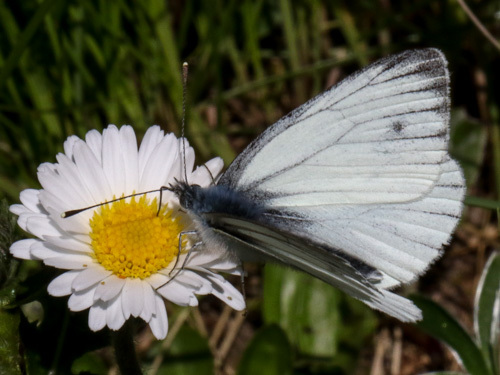 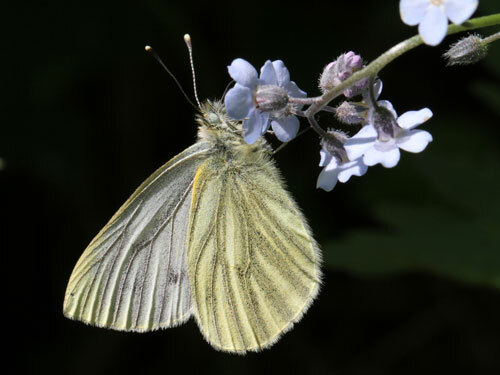 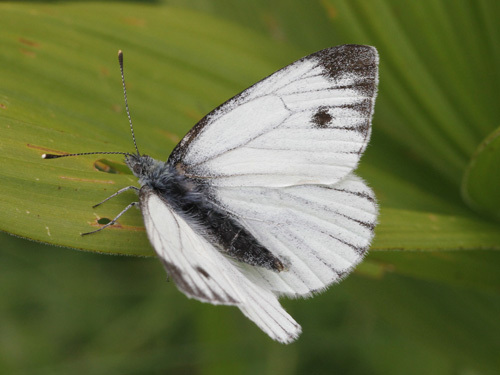 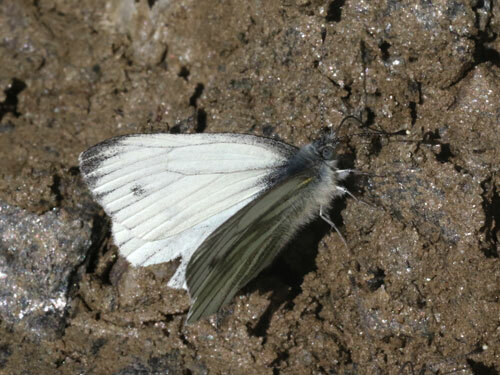 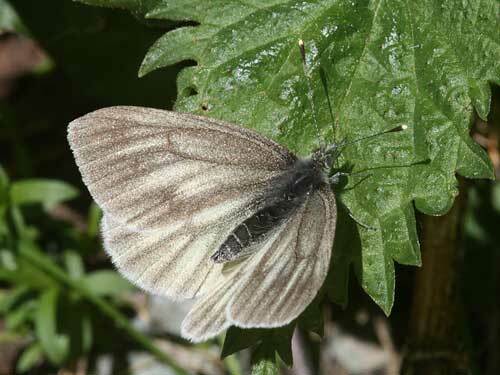 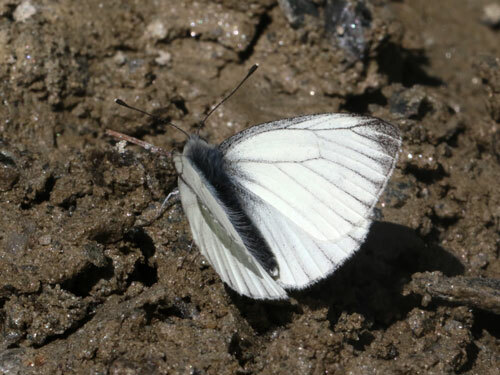 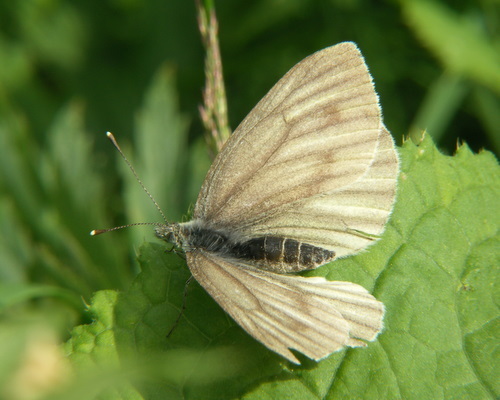 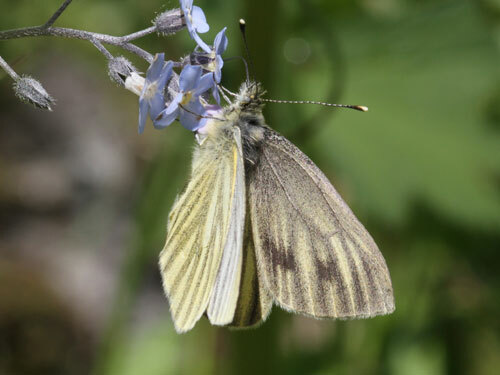 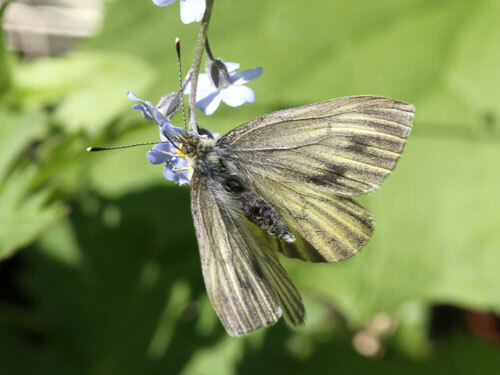 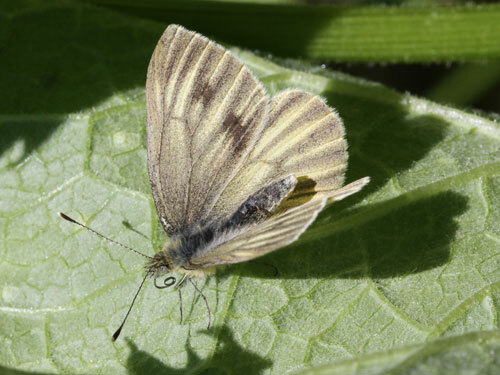 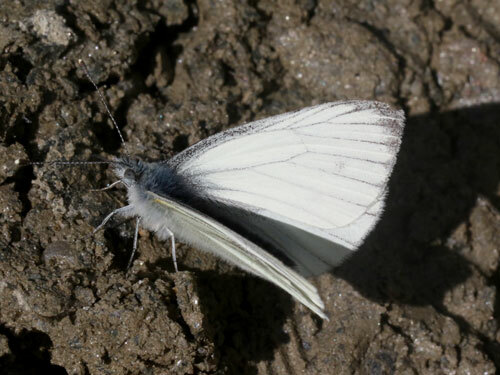 This species appears to replace the Green Veined White, P. napi, at high altitudes in the Alps and the Carpathian Mountains. 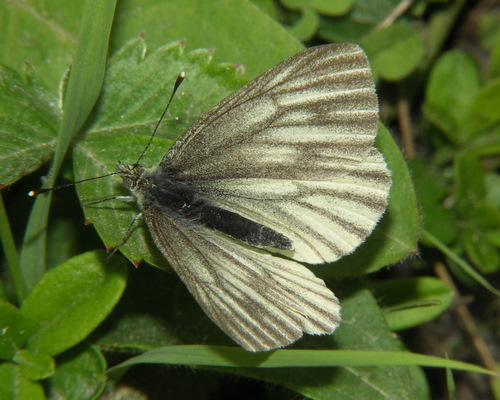 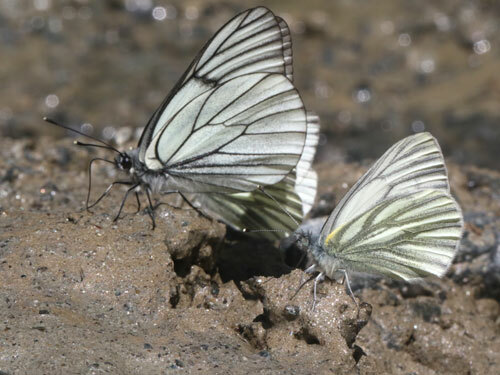 Identification & Similar species: The males are more heavily marked in comparison to the green veined white, P. napi, but it is the females that are unmistakable. 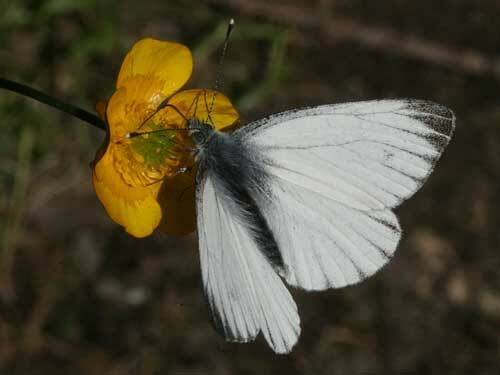 They are covered in a very heavy dusting of brown scales giving a rather dirty appearance. 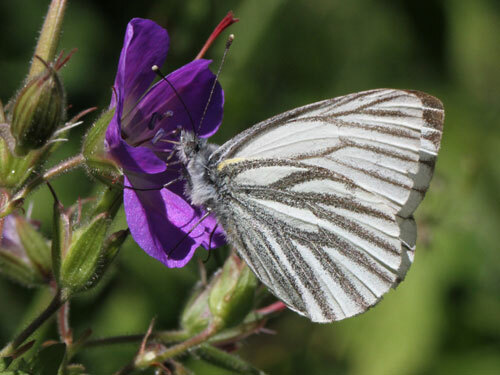 Distribution & Flight: Summer at high altitudes only in the Alps and the mountains of eastern Europe in a single brood. 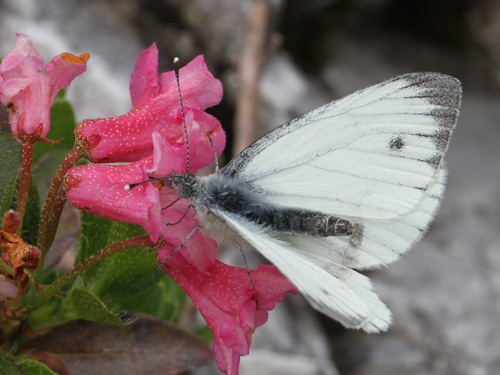 Habitat & Behaviour: High altitudes amongst open alpine scrub, with flowery meadows. 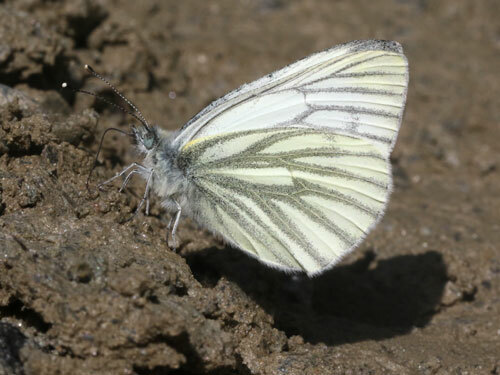 Often associated with water courses and damp places.